Each year our family devotes a little time to think about our year and reflect. Last year we decided to involve our children in this process. We found that they struggled to remember the big things that happened in their lives and tended to remember only the most recent things that happened. That is when we decided to start a new tradition and the annual “memory jar” was born! We are super excited to open our jars this year and relive the wonderful moments from the past twelve months. I want to share more about this with you and you may decide this is a great idea for your family too! A memory jar is a sort of ongoing time capsule for your children’s memories throughout the year. It enables them to remember and reflect on the great experiences we work so hard to create as parents. For those of you with small babies, you can even use this as a baby-book alternative too! How Do Memory Jars Work? Each week, have your children write down one or more good memories from the week that impacted them in a positive way. We sit down and do this as a family once per week, but they could do it on their own as well. I find this is a great family activity for just before bed-time. It is a great way to re-live their best moments. When they are finished, they fold the little slip of paper and put it in their own memory jar. By the end of the year, each child will have at least 52 wonderful memories to reflect back on and share with their family. How Do I Make a Memory Jar for My Kids? Step 1: For each of your children find a small jar or another container that can hold their memories for the entire year. I recommend a medium sized clear glass jar (plastic if you are afraid they will break it) with the clasp-style lid that you can find at a craft store. Step 2: Have your children decorate their jar using paints or stickers. I find my daughter especially enjoys this part the most! Make sure they put their name and the year on it somewhere. Step 3: Cut some construction paper into post-it sized squares. These are the slips they will write memories on during the year. I use a different color paper for each child so memories don’t get mixed up. I find that by having these pre-made for the entire year it is one less thing to do each week and we can simply focus on writing down our memories. Step 4: Create a special place in your home where the memory jars are kept. A shelf where they are visible works well. What Kind of Memories Could You Write Down? If your kids enjoy reading, maybe they can write a memory about finishing a book they enjoyed. The possibilities are endless. TIP: You can even put other meaningful items in the memory jar, depending on the size. If you attended a professional sports event, why not put the ticket stub in the memory jar? How about movie tickets to a film they really enjoyed? Even a small souvenir from the gift shop on a class field trip could make a great memory! What About the Wee Little Ones? Anyone at any age can participate, even the littlest family members! My youngest is 2, so not only can he not write, but he also can’t tell us his best memory for the week. No problem, I chose the memory and wrote his down for him each week. He can thank me when he is 30! Add a date to the slip of paper and this is a great idea for babies and toddlers as it helps to supplement or replace the classic baby book by capturing many of their firsts and much more! Use a larger jar or container, and make one big memory jar for the entire family. You can still keep the different colored slips so that each family member’s memories are distinct. This is a great way to get the parents involved, we have memories too! TIP: You can even involve remote family members in this activity. How cool would it be for grandma or grandpa, living far away, to send the grandkids a slip for the memory jar in the mail? Just think about the numerous memories your children generate in one year. Whether those are school memories, playing with friends, sports or activities, family outings, vacations, or any other positive activity. It is difficult to truly remember and reflect on all of those things, they get all jumbled together in our minds. Memory jars are a great way to have meaningful family time and highlight the positive moments we have. Plus, it is an “analog moment” to enjoy with your kids in a digital world. On New Year’s Eve, you can open the jars and read through all of them as a family. My hope is that all the positive moments get them mentally started on the right foot to take on the new year! If I look even further out into the future, how neat will it be for them to have several years of memory jars accumulated! It is never too late to start this tradition. I hope this idea inspires you to a new family tradition. 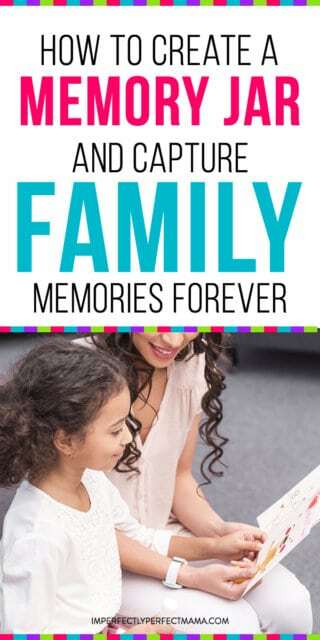 One that creates meaningful family time and teaches your children how to reflect on the positive moments that are shaping them into the adults they will become. 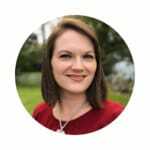 Leslie is the “mom behind the keyboard” at Super Mom Picks, a parenting tips, ideas, and product reviews blog. She is a full-time working mom who has a passion for improving her family’s health, happiness, intellect, and overall quality of life experiences. Its really cute! I will do it definitely. Thanks for the awesome idea. I love this idea! I use to do a version of it when I was little. Your post reminded me how much I enjoyed it and how much my kids would like it! This is such a cute and fun idea!! oh what a cute idea and such a fun way to remember the good times! I’ve never heard of memory jar before, that is the coolest idea ever!!! I will definitely do it. Thank you so much for the awesome idea. This could be a great activity to do with the toddler one rainy day – thanks for sharing! !